Formula 1 racing has a storied history of some great racers, but there are 5 all time greats that stand out. Formula racing fans know there is nothing more exhilarating than watching a brilliant race, but for a race to be worth watching, the drivers partaking in it must be skilled and knowledgeable in their craft. We replay death defying moves and winning strategies in our mind as if we were riding along in the cockpits ourselves and are left contemplating how they’re able to dominate the circuit as if they’re secretly bending it to their needs. Who are the top Formula 1 racers of all time? The latest machines and newest drivers always lead to new debates, but there are some clear-cut answers. Is the sport advancing, or is the quality of the cars changing the game? In many cases, it’s both, but there are some all time greats we can all agree on. 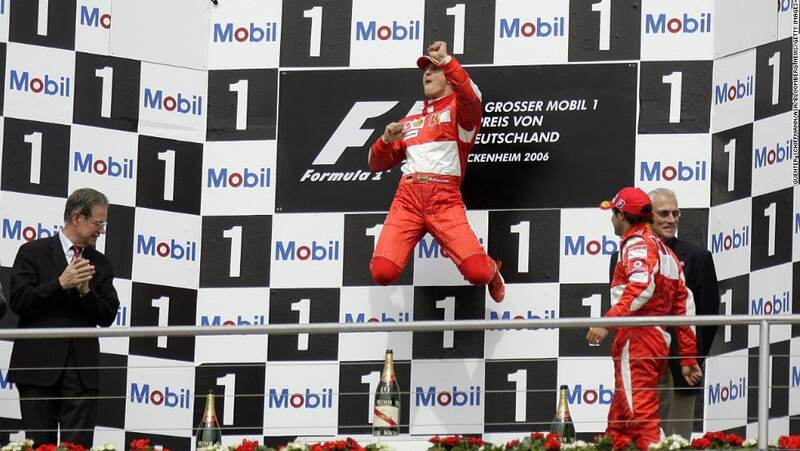 With 91 victories and 306 races, Michael Schumacher is tops on any list of all-time greats. His numbers are indisputable. Beyond his individual wins, Schumaker is 7-time world champion. He won his first Grand Prix in 1992 and his last in 2006. His longevity as a champion and leader among Formula 1 Racers makes Schumaker incredibly unique. Michael Schumacker may be debated by some for his record coming in contemporary times, but his sheer volume of records and wins make him an incredible champion. And the champ himself has indicated Juan Manuel Fangio was a driver to be revered. He won almost half of the races he ever participated in. A win rate of nearly 50% is a staggering feat for any champion. Fangio is considered by many to be the greatest driver of all time. His record of five World Championships stood for 45 years. Michael Schumacher broke Fangio’s record when he won his sixth title in 2003. Make that Sir Jackie Stewart. Beyond Sir Jackie’s contributions on the course, he has been an ambassador for the sport. He’s served as a commentator for the F1, spokesperson for various products, and acted as principal of a racing team. 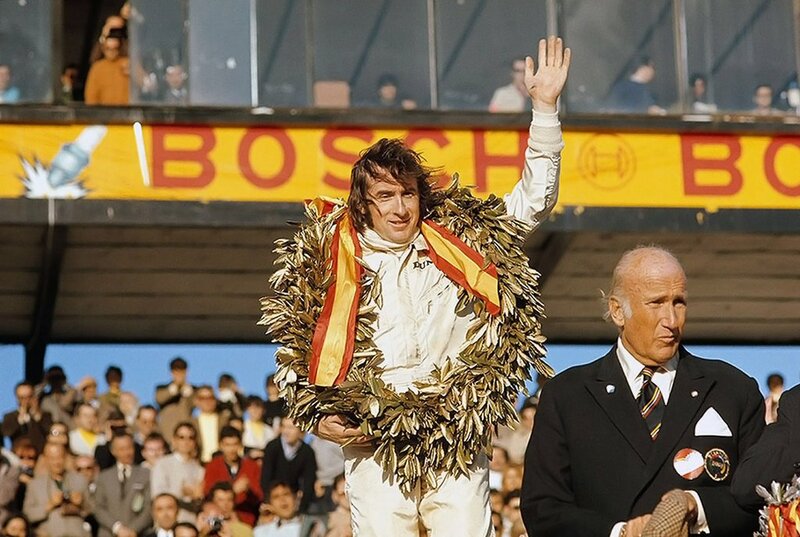 But on the track, Sir Jackie Stewart was a phenomenon as well. He had 27 wins in 99 races and won numerous awards. Sir Jackie Stewart is Britain’s only 3-time world champion and he continues to represent the sport on the international stage. Plus, Stewart is one of only four Formula 1 drivers to be granted a knighthood. He is literally part of the royalty of the elite sport. Jackie Stewart himself thinks Jim Clark is the best driver of all time though. Newspaper reports indicate that Stewart says Jim Clark, “the two-time champion who died at Hockenheim in 1968, will always be the greatest British driver, even compared to Lewis Hamilton. Jim Clark exuded humility in a sport dominated by egos as powerful as F1 engines. He considered himself a farmer above all else. But his performance as a Formula 1 racer is nothing short of incredible. He was racing for Lotus in Formula One in 1961 and finished the championship in second place in his second season. 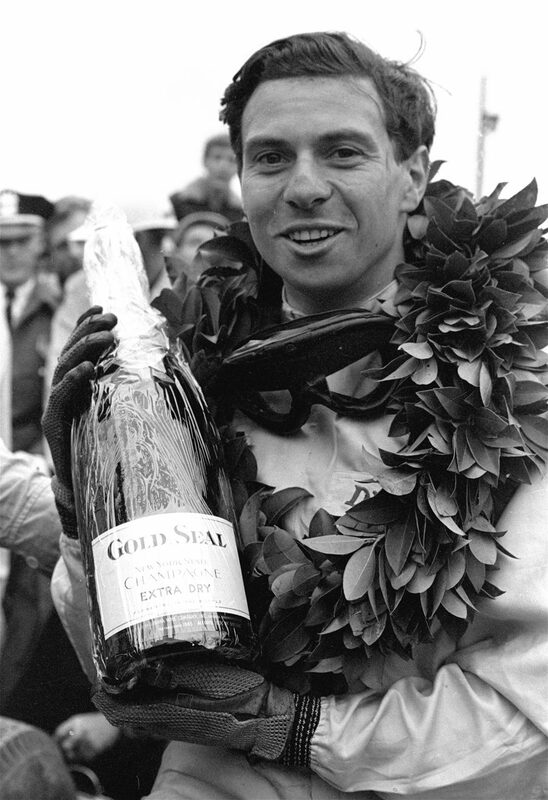 In 1963 Jim Clark earned his first world championship. The win made him the youngest world champion ever. It only took him two more years to earn his second world championship. Jim Clark dominated the sport. 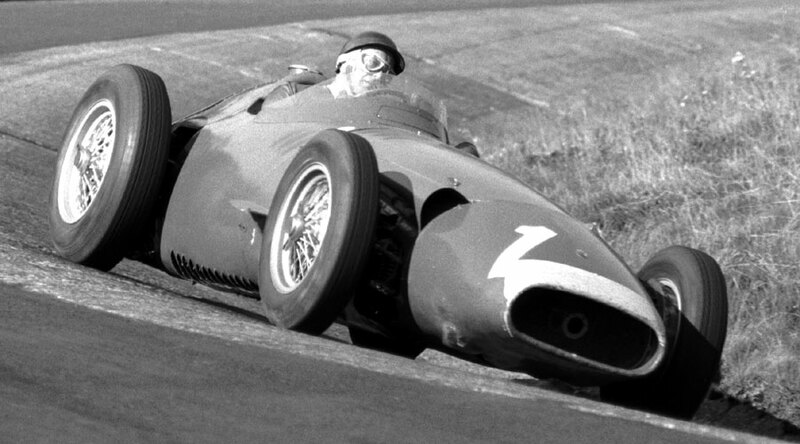 The history books of the greatest Formula 1 racers of all time would be incomplete without mention of Alberto Ascari. Ascari is still the measuring stick other Formula 1 pilots are rated against. 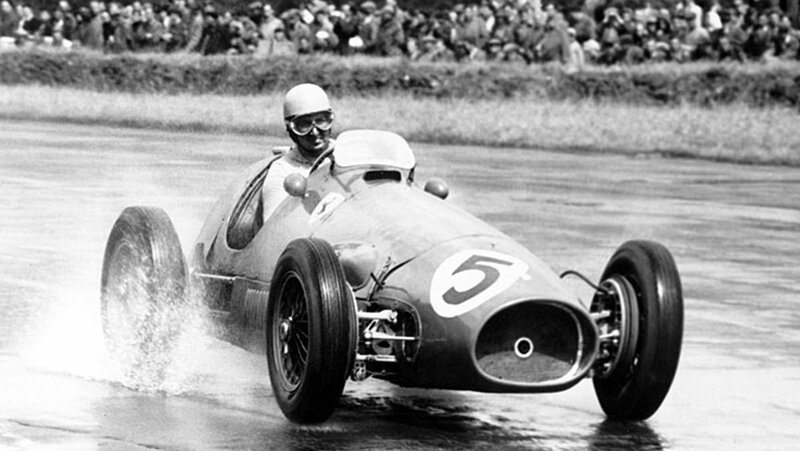 His achievement of completing every race during the 1953 and 1954 seasons is nearly unparalleled by today’s standards. The only Italian driver to win two Formula 1 world titles, Ascari is forever entwined with the racing legacy of Ferrari. Enzo Ferrari himself is said to have introduced Ascari to motorsports. Ascari and Ferrari aren’t the only two famous marriages of car and driver. As fiercely debated as the greatest racers can be, the combination of driver and machine is another topic altogether. There are always innovations in engineering and design. Each year promises to be faster than the last. The greatest minds in racing adjust the design of every aspect of their cars to increase overall performance. And just as fiercely debated as the greatest Formula 1 racers are the greatest advancement in F1 design. Watching a Formula 1 race from a suite firsthand means judging the merging of driver and machine for yourself. You will see the cutting edge in design and sportsmanship while taking in a race. The best drivers know how to get the very best from their team and their equipment too. We can debate the greatness of racers in the history of the sport all day. It’s part of what makes attending a race so much fun. We get to compare the contemporary racers against the history of the sport as they vie for a place in the record books. Plus, we can see firsthand if the latest engineering trends are breaking the mold and propelling F1 into the next age. One thing we can’t debate though: There is no better stage in the world to take in a race than beautiful Montreal. We love the Montreal Grand Prix. There is no better party. And there is nothing like the rush. What better way is there to enjoy Formula One and the Montreal Grand Prix than by getting an exclusive experience? So long as you plan ahead, you can be introduced to the Grand Prix in a way that not everybody gets to. It’s never too early to start planning for the Montreal Grand Prix weekend — check out our list of Montreal Grand Prix parties and events — the race is only the beginning! Traveling in and around Montreal means great dining, nightlife, culture, and places to visit and stay. In fact, you shouldn’t wait too long to get your reservations booked. The Montreal Grand Prix is such an exhilarating event it’s the best 3-day party in Canada by far. Don’t miss the thrill of the race and the fun of the party! You’ll be making new additions to your list of best Formula 1 racers with every turn. Contact us now to start building your Grand Prix package and attend the best party in Canada!